The contemporary look of this Lanart Rug Jewel area rug adds style to any room. Great quality is assured with this indoor piece made out of plush wool material. Modern style and construction is combined in this hand-made rug. This solid patterned blue rug makes a bold statement in your hallway, dining room, or even living room. 5 ft. X 7 ft. 6 in. 3 month limited warranty. For more information please contact our customer service team at 1-888-811-4843. This Artistic Weavers Aceval area rug infuses contemporary style into any room in your home. Quality meets modern style in this indoor/outdoor rug made out of plush synthetic material. A durable product is assured with this hand-made rug. Add this floral plants patterned blue rug to the decor of your home for a contemporary infusion. Bring this Artistic Weavers Bertoni area rug into your dining room for an easy splash of style. Complete your home's contemporary design with this indoor/outdoor rug made of plush polypropylene material. Contemporary comfort comes in the form of this hand-made rug. This green rug has a stylish floral plants pattern for your modern dicor needs. Add this high quality Artistic Weavers Holden Lucy area rug to your home for an instant splash of style. Crafted to be an indoor piece, its plush synthetic material is unique and comfy at the same time. Modern style and construction is combined in this hand-made rug. This geometric patterned blue rug makes a bold statement in your hallway, dining room, or even living room. This modern Artistic Weavers Naizin area rug will instantly improve any room you place it in. This indoor rug made from plush synthetic material is both comfy and stylish. The machine-made construction of this rug makes it high-quality and durable. Quality interior design comes in the form of this geometric patterned blue rug. 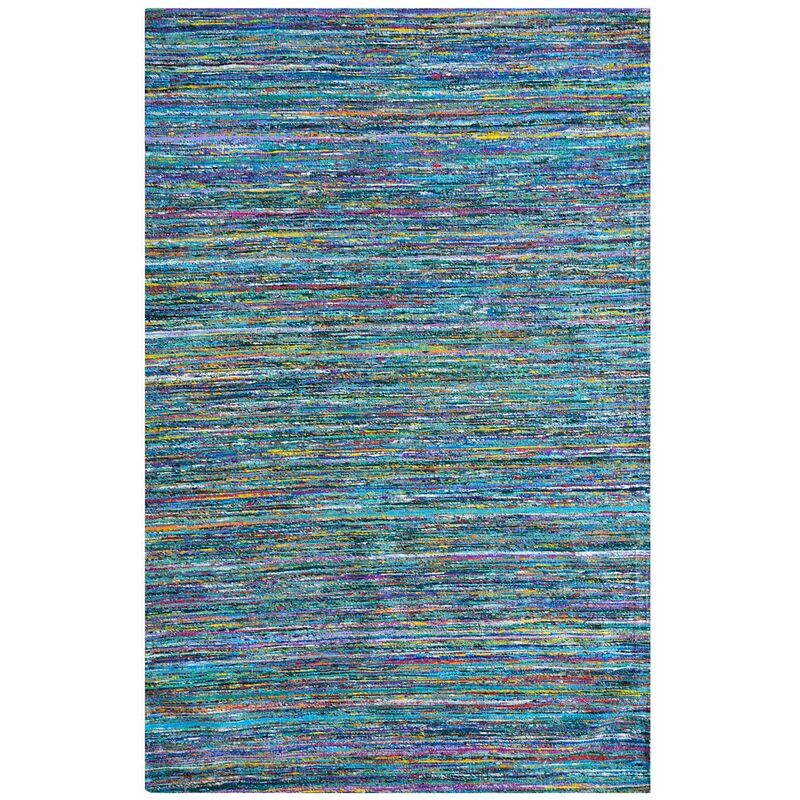 Jewel Blue 5 ft. x 7 ft. 6-inch Indoor Textured Rectangular Area Rug The contemporary look of this Lanart Rug Jewel area rug adds style to any room. Great quality is assured with this indoor piece made out of plush wool material. Modern style and construction is combined in this hand-made rug. This solid patterned blue rug makes a bold statement in your hallway, dining room, or even living room.